Looking back on her 30-year ministry with people on the fringes of life, Good Samaritan Sister Pauline Fitz-Walter shares some of her insights. Having been born in May 1923 into a family living in the town of Charleville, in western Queensland, I was thrust, at the age of three into a situation of separation from an alcoholic – though capable – father. He was the manager of Fitz-Walter & Co (General Merchants and Wine and Spirits Merchants!). My father and mother signed a legal deed of separation and my mother, not knowing at the time that she was pregnant with a fourth child of the marriage, set up (with generous monthly financial help from my father), a household in Brisbane, in the suburb of Coorparoo. That was where my contact with the Sisters of the Good Samaritan began, and where a growing understanding of ‘separation’ took root. A little over 50 years after that, and as a Sister of the Good Samaritan, I experienced a deep urge to enter a wider world of separation from the neat one I was used to. Living in Sydney, having pursued academic studies at a high level in Australia and Rome, I asked for permission to live with a younger sister in a rented house in Belmore Street, Surry Hills, Sydney. The aim of this venture was to give glory to God by doing something practical, though not on a grand scale, about the ‘brokenness’ of our society. A ‘grass-roots venture’ would come closer to describing it. The first household was established in 1978 and comprised of three men, each of whom had psychiatric and addictive problems, myself and a younger Good Samaritan Sister. It was a strange set-up for that time. We were to be part of a larger prayer community operating within the Parish of St Francis de Sales, Surry Hills, where the Scalabrinian Fathers had charge of parochial affairs. A university professor of strong Catholic convictions led this venture. Of course, the venture had to be approved by Cardinal James Freeman who, at that time, was the leader of the Catholic Church in Australia. The cardinal asked a young bishop – Bishop David Cremin – to become the official Church authority in discerning whether such an initiative would fit into Church structures. The Irish immigrant bishop asked about the ‘ground rules’, but was told there were none, and that he had to make them as the project unfolded! And so, with the help of an understanding bishop, the St Francis Houses began. The rugged history of their development and ‘a split’ within the original pattern will not be discussed here, but within the historical ‘zig-zagging’, God’s power was tenderly operative. My strong convictions about Christian community gradually developed into the Houses of St Francis of Assisi where we attempted to lead ‘the last, the lost and the least’ to a new Christic vision. I, myself, came to understand that the Gospel has extraordinary power to heighten an understanding of the movements of God’s love, even in difficult circumstances. I discovered that love, acceptance and laughter could create ‘space’ wherein healing could take place. The ‘acceptance’ found within the Parable of the Good Samaritan began ‘to gel’ within my inner being. People came to help as co-workers, and the expansion of the houses into country areas and interstate, took place. God sent ‘cheerful helpers’ into the field of the St Francis Houses showing me that his ‘healing power’ is always available, if only we are ready to accept. By nature I’m inclined to be slow in seeing viewpoints other than my own. I had to learn to listen to the ideas of others. Thus, I had to try to understand more about my own hidden fears that could distort reality. These days, stories of the people within our Houses sometimes flood my memories, but all I can do now in my old age is to remember them in loving prayer. 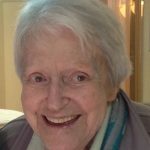 For almost 30 years Good Samaritan Sister Pauline Fitz-Walter lived and worked with people who were homeless or living with a mental illness or drug addiction, offering them security, friendship and spiritual nourishment. In 1996 she received a Medal of the Order of Australia in recognition of this work. Now retired, she lives in Sydney.